Richard Arin Ilejay (born February 17, 1988) is an American musician. 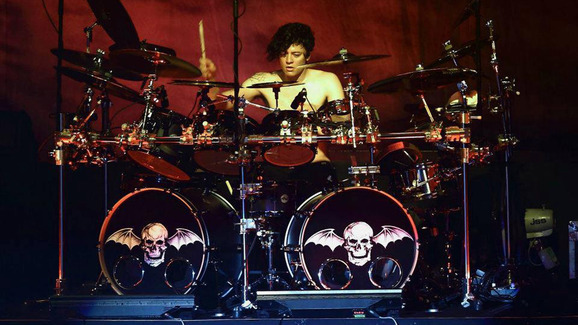 He is the current drummer of American Heavy Metal band Avenged Sevenfold, becoming an official member in 2013 after being a session and touring member for the band since 2011. He is also the former drummer of American metalcore band Confide. Richard Arin Ilejay, was born in Ventura, California to Ric Ilejay, of American, Filipino and Mexican descent, and Charlotte Tuttle, of American, Dutch and German descent. Both of Arin's parents have musical backgrounds. Arin's father is a professional guitar player and his mother a gospel singer. Arin started playing drums at the age of nine. Arin learned funk, jazz, rock and Latin jazz at a very young age with his dad. Playing in Top 40 bands, jazz/rock bands and playing with his friend Aaron Hertzfeld in rock bands taught Arin versatility. Arin's only other formal training was with the Palmdale High School drumline. Arin Ilejay performing at Nova Rock Festival in 2014. "We recently asked several friends who knew Jimmy and his style, and also knew our music and each of our personalities to suggest drummers to tour with us starting this year. Our longtime studio drum tech Mike Fasano recommended Arin Ilejay. We've rehearsed with Arin and have been impressed with his technical skills, attitude and work ethic. We're very excited to tour with Arin and hope all of you will give him the warm welcome to the family we have." Ilejay took over for former Dream Theater drummer Mike Portnoy, who temporarily stepped in after the death of Avenged Sevenfold's original drummer Jimmy "The Rev" Sullivan on December 28, 2009. He was featured on two singles subsequently released by the band: "Not Ready to Die," which was featured in the Call of Duty: Black Ops zombie map "Call of the Dead", and "Carry On," which was featured in the sequel Call of Duty: Black Ops II. On August 9, 2013, Ilejay played his first show as an official member of Avenged Sevenfold in Mashantuckt, CT at the Foxwoods casino, in advance of the release of his first album with the band, Hail to the King, which was released on August 27, 2013. Ilejay was married in August 2013, to Kimberly Andrade. Note that Arin sometimes uses a Gong Bass Drum. Note Ilejay used the Zildjian Z3 Series in the Hail to the King music video, but live he uses A Customs.